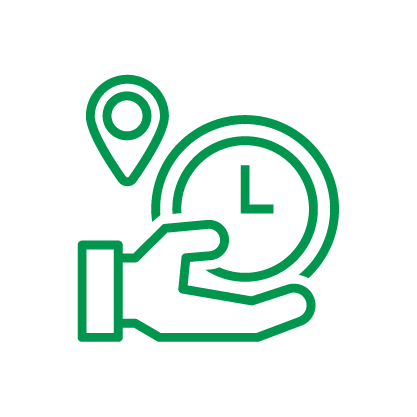 Perform deliveries during these timings to earn up to $2.50 per trip* on top of drop fares. Enjoy limited-time special extension of lunch hour incentive till 2.59pm! Note: Time blocks marked in red count towards the next day’s quest incentives (if applicable). 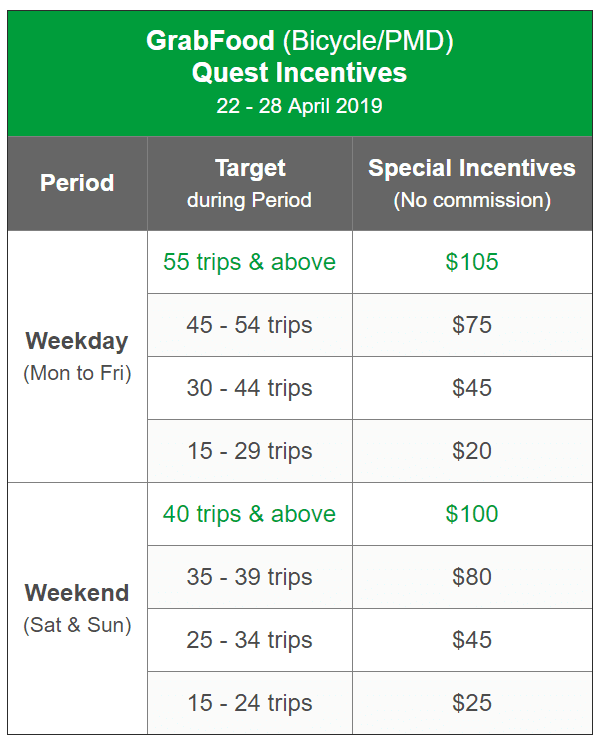 For example, referring to Friday 12th April’s table, if you complete a trip accepted at 2am within Downtown (+1, 13 April), you will receive $2.50 for zone boost incentives. The trip counts towards your weekend quest as it was accepted past 12midnight on Friday. 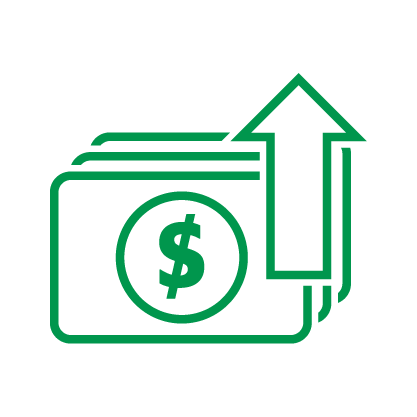 If you accept 2 trips on Monday between 11AM – 1.59PM at Central, you will be paid $3 ($1.50 x 2 trips) on top of all your $5/trip base fares upon completion. If you accept 3 trips on Saturday between 11AM – 2.59PM at Downtown, you will be paid $9 ($3 x 3 trips) on top of all your $5/trip base fares upon completion. Earn up to $205 extra! 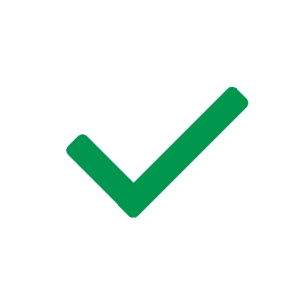 Hit the following all-week targets and earn up to $205 extra! If you complete 50 trips during the weekday this week, you will be paid $105 on top of all your $5/trip base fares. If you complete 35 trips during the weekend this week, you will be paid $80 on top of all your $5/trip base fares.